Georgia – 2003-03-15 – 03:00: I was 13 years of age approximately, sometime during 2003. I was in my home and had fallen asleep in my bedroom on a night before attending school at Sophia Academy off of Mt. Vernon Hwy in Sandy Springs, Georgia during sixth grade. I woke up when my alarm went off as usual and began to get into the shower as normal. I was pensive in thought and had a hard time remembering my sleep as I was entering the shower. I stepped in and started showering and noticed a rough feeling underneath my left foot as I was washing my feet. I noticed a symmetrical pattern of dot-shaped puncture marks in a perfect circle similar to a picture I noticed online I am willing to attach. I instantly had flashbacks of what just occurred to me while I was asleep. At that point I realized everything that happened to me included a violation of my personal rights and a seemingly near death experience. The marking under my foot was an indicator a sample of my blood may have been taken by these beings when I was awoken. There was a sharp stinging sensation right under my foot that woke me up. My vision was very blurry initially as I began to open my eyes and sit up to feel what it was that hurt my foot. 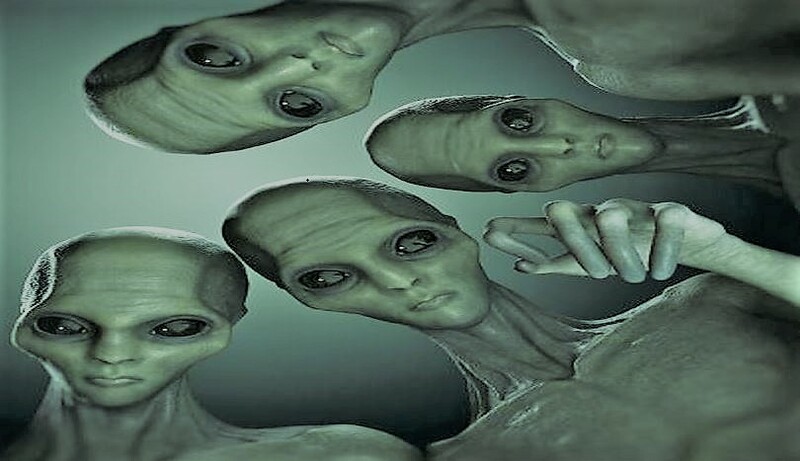 As I was opening my eyes, I sat up on what appeared to be a large aluminum table to 4 large Reptilian greys (7-9 feet tall) standing by the edge of the table by my feet. As I sat up, I noticed all of their eyes began to open wider, and their mouths began to open up and let out a horrifying sound. There was an extremely high pitched shrieking sound and they threw their hands up in the air and were flailing backwards away from me as if they were going to fall over. I then got extremely tired and couldn’t sit up very well and laid back down on the table to turn my head to the left. I remember just turning my head and praying to God (saying God help me, Lord Jesus help me) because I was terrified and didn’t want those beings any closer to me and was afraid of swallowing them or getting devoured and/or ripped apart. I just turned my head as I laid down and prayed to God to protect me and asked him to ransom me from this stressful situation. As I laid back down, I do not recall ever getting back up or waking back up until I found my alarm going off and started getting ready for school. It was right after I woke up and I was in the shower that I noticed what had happened to me. – MUFON …….. NOTE: The above image is CGI.